Sinus Pressure: Cold, Allergy or Sinus Infection? The sinuses are four air cavities in the skull, surrounding the nose and eye sockets. When sinuses get blocked and fluid or bacteria build up, you experience sinus pressure and pain. The reasons for sinus pressure can vary, though the symptoms will be the same. If you have a cold or allergies, the membranes lining your nasal passages become inflamed and irritated, causing sinus pressure. The irritation triggers the production of mucus, which causes congestion in your nose and chest. Post-nasal drip can also contribute to a sore throat. Drink lots of fluids. Staying hydrated helps to thin out the mucus. When sinus pressure is too much, keep your head elevated and place warm washcloth or compress on your face. Decongestant sprays can be helpful but should not be used for more than three days because extended use will make the congestion worse. Sinus Pressure: Do I need a doctor? 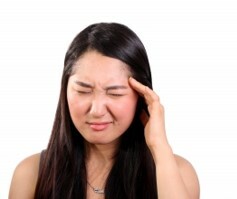 Sinus pressure is a common symptom of a sinus infection. Most sinus infections and sinusitis are caused by respiratory viruses or allergens and are treated with over-the-counter medications. However, if you are using over-the-counter medication and not getting much relief, there are prescription options available. If your sinus pressure is the result of a bacterial infection, you will need medical attention. While viruses do not respond to antibiotics, bacterial infections require them. Find your nearest FastMed Urgent Care clinic and come on by. We’re open every day throughout the year, holidays included. And remember: no appointment is necessary.